Bank of Santa Clarita announced Friday that for the fourth quarter and full year of 2018, bank earnings continue at record levels, as net earnings for the quarter totaled $795,000, more than doubling its earnings for the fourth quarter of 2017. Moreover, net earnings for 2018 totaled $3,184,000, 73.5 percent greater than it recorded in 2017. In reviewing operating results for 2018, Bank of Santa Clarita reported $9,481,000 of net interest income, representing a growth of 10.8 percent over 2017. While a significant contributor to the bank’s year-over-year growth in net earnings was the reduction in the federal statutory income tax rate, the bank noted that pre-tax earnings for 2018 totaled $4,509,000, and exceeded pre-tax earnings for 2017 by 29.7 percent. The bank reported total net loans of $229.5 million at December 31, 2018, an increase of 3.5% over the total reported at the end of 2017. “We once again are very pleased to report our most profitable year in the Bank’s history, recording a return on beginning-of-the-year equity of 10.9 percent,” said Frank Di Tomaso, the bank’s chairman and chief executive officer. “Further, we are proud to remain a safe, strong bank, and I commend our team of banking professionals for its commitment to serve our clients, community and shareholders with excellence, which has always been the key driver of our success,” Di Tomaso said. At Dec. 31, 2018, shareholders’ equity totaled $33.1 million and the Bank’s total capital ratio was 14.48 percent, significantly exceeding the “well capitalized” level prescribed in the applicable capital regulations. The bank also continues to maintain substantial liquidity positions, retaining significant balances of liquidity on its balance sheet as well as readily available collateralized borrowings and other potential sources of liquidity. 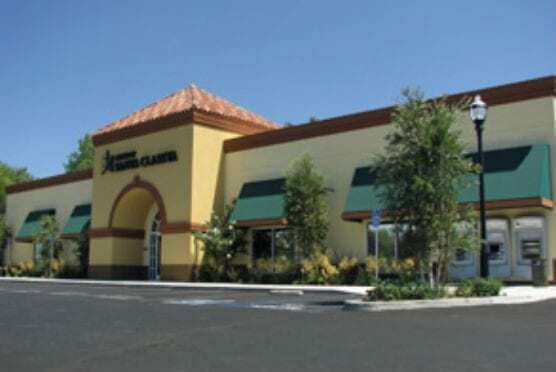 Bank of Santa Clarita, founded in 2004, is the only full-service commercial bank headquartered in the Santa Clarita Valley, and is focused on meeting the banking needs of the community and its businesses. The bank promotes face-to-face interaction with its clients, which in turn leads to deeper relationships overall. The bank provides local, experienced decision-making and the personalized service that growing businesses need on a daily basis. Bank clients have direct access to executive management and experienced professional staff members to address their credit requirements, from commercial lines of credit to SBA loans to commercial real estate and other commercial loans, and also technology-based banking services that include online bill-paying, remote capture depositing, check imaging and initiating online wire transfers, among other cash management facilities. Bank of Santa Clarita officials take pride that they have served the Santa Clarita Valley’s residents, including individuals, small businesses and non-profit organizations, for 14 years, and truly appreciate the relationships made.